The final Ford Taurus sedan rolled off the assembly line at the Ford Motor Company Chicago Assembly Plant on March 1, 2019. The last Taurus marks the end of an era; The end of production for a historic nameplate within the brand. 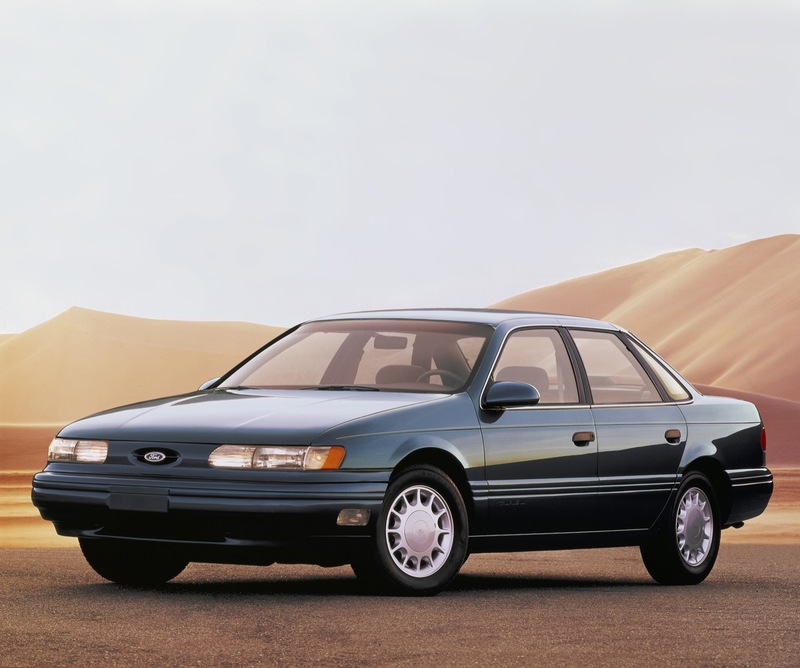 As unceremonious as it all has been the Taurus is nevertheless a Ford icon. More than eight million Ford Tauruses were built at Ford’s Chicago Assembly Plant over a 34 year period of (nearly) continuous production, and it took a unique design to create one of America’s best selling cars. The aerodynamic and revolutionary design of the Ford Taurus was in a league of its own when it was introduced at the 1985 Los Angeles Auto Show. Being different from the more boxy, boring cars of the 1980s helped it become No. 1 on the sales charts from 1992 through 1996. Worth noting, Japanese brands have owned that title since 1997. Automotive News says that Jack Telnack was, “always confident the first-generation Taurus would be a sales hit.” Telnack was the chief design executive for Ford’s North American automotive operations, and was the leader of the team that designed the Taurus and its sibling – the Mercury Sable. Telnack faced pressure from then-CEO Philip Caldwell to succeed with the Taurus, and he delivered. Telnack told AE that he was pretty much given a blank slate to work on, “any design we wanted,” for the Ford Taurus. The Ford Taurus was unique because it didn’t feature a standard grille, but rather a small opening with a “floating oval” Ford logo. William Clay Ford Sr., the company’s design committee chairman, was hesitant in approving the grille-less design initially, but he ultimately gave the iconic Taurus the green light. Interestingly, Telnack avoided focus groups when developing the Ford Taurus. Telnack was sure that the new-age design of the Taurus during development since Ford had already had experimented with rounded looks on the 1979 Mustang and 1983 Thunderbird. Perhaps the largest point from AN’s ode to the Taurus was Telnack’s insight on listening to instinct. Telnack said in the feature that the design was essentially unchanged from clay model stages to final approval. He noted that if his team listened to market research, they never would have had such a sales champion. Maybe- but the best Sedan Ford ever built for my money was the Ford 500 (later rebranded as a Tauras). Still a winner for anyone intersted in a good used car.